Chennai Super Kings and Mumbai Indians are the two heavyweights of the IPL. Since the first edition with CSK having India’s most successful captain as their icon player and MI having world’s most loved batsmen as theirs, both teams continued to compete fiercely. Both teams have (and always had) some of the big names of world cricket in their teams apart from the fact that big industrial houses own both teams. Expectations have been high from them since the start of the IPL. Chennai Super Kings have (more) often fulfilled those expectations till last year when Mumbai Indians outperformed them in the IPL as well as Champions League. Chennai Super Kings have been outdone only by Mumbai Indians in league phases of IPL. Mumbai Indians has better win record of 8-4 against CSK in league phases but CSK fans always felt proud of their team’s record in knockout stages. 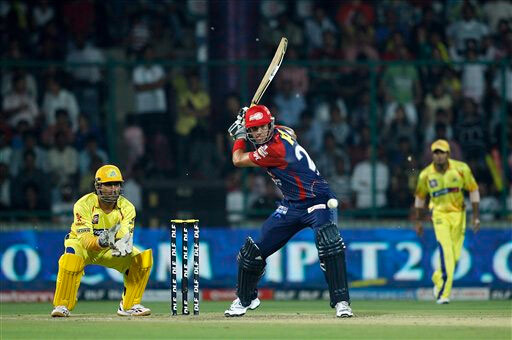 However, but they had a shock of their lives when Mumbai triumphed over CSK in last year’s IPL final. That was a painful moment for all CSK fans. Mumbai Indians never allowed CSK to win at Wankhede and now this final loss rubbed salt on the injury. Super Kings and Mumbai Indians have had the most vocal and active fans on social media among all IPL teams. On ground Mumbai Indians always remained a challenger to CSK’s supremacy in IPL. When allegation of match fixing surfaced, Super Kings fans were trolled on social media, It was as if Super Kings’ didn’t deserve the victory or the championship that they won or respect that they command, everyone tried to undermine the glorious history of Super Kings, sadly among all Mumbai Indians fans, who were on cloud nine after winning IPL6 by defeating Super Kings in final, were on fore-front of all this . Diatribe among both teams’ fans became order of the day on social media. This made rivalry ugly between fans of Mumbai Indians and CSK. The rivalry is developing on the lines of Real Madrid-Barcelona or Manchester United- Liverpool rivalry. This rivalry is set to grow further in coming years. Nothing could have satisfied super kings more than winning against Mumbai Indians specially in their fortress i.e. Wankhede. 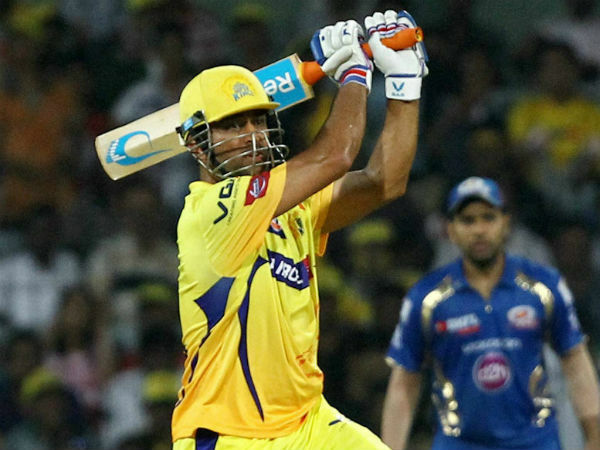 In this match after the fall of du Plessis wicket on slinga Malinga yorkers, Super Kings’ fans were exasperated; they feared another loss at wankhede but Dhoni with his typical match-finishing effort made sure that this night belongs to Super Kings’ fans. Dhoni and Co., with the best captain and armoury, outdid and handled them a double whammy this season (in the UAE and Wankhede). Victory at Mumbai Indians’ fortress i.e. Wankhede made this victory sweetest for the Super kings’ fans. For them this season is all about return of pride and certainly breaching the fortress of Mumbai Indians and flying Yellow flag high midst ocean of blue was one of the proud moments for them. What is an Indian cricket fan’s perfect day? A wholesome entertainment by its loved cricketers and some nail-biting stuffs inside a packed stadium. And it was a perfect day for the fan inside me when I learnt that my friends have procured tickets for CSK vs DD match. I was looking forward to see few helicopter shots by our beloved team India captain MSD, few eye catching and mind boggling shots by Viru and to see latest sensation Sir Jadeja in action. So, with all these expectations I left my home at 5:30. Yes… To get a good seat in stadium you need to be at least 2 hours before time. Unfortunately, I miscalculated Police management, or should I say mismanagement, the scene outside Ferozshah Kotla was a complete chaos. Police tried to be as polite to spectators as they could, but more often than not the real Delhi Police popped out of their skins. They tried to choke people by purposefully narrowing down the roads from both side of stadium. But these atrocities are not a talking point as common people face this everyday and this is just a meager price to see their beloved cricketers in action. We are inured to such things. I felt lucky to enter the stadium without breaking any bones and saving my 6-month old broken shoulder. My miscalculation made me late by half an hour to get a good seat or should I say even a seat anywhere. I reached stadium at 6:30 pm. But these things didn’t lessen my excitement. I looked around the ground to take a glimpse of my favourite cricketers, here comes Dhoni, there is Viru chatting and smiling. People started chanting ‘Dhoni… Dhoni, Viru… Viru’ . Everything looked good and exciting. Suddenly, I heard a noise as some log fell behind me. When I looked back, a young man was lying on the floor unconscious or perhaps dead. He fell from a small grill around stairs of ground floor, it might sound an accident to you but for me it was a murder due to mismanagement. BCCI, on an average, earns at least Rs 50 crores from ticket sales per match and in return they give a gross mismanagement, a lot many accidents and few deaths. I have never heard of a company who earns this much gives such a brutal experience to its customers. My friends and me could not enjoy a ball after that accident. That young man lying on the floor, perhaps dead, had engrossed my mind. I could not Enjoy Dhoni’s power pact performance or Hussey’s class. We few were left feeling alone and disturbed in that ground. Others unaware of the accident enjoyed their perfect day. If that was not enough some drunken people sat on that very risky grill, when people tried to stop them they hurled abuses at them. When people tried to seek attention of police to take those few drunken man to task, Indian police remained true to its spirit, they quietly left the place without uttering a single word. Our evening has turned gloomy. We left the match in middle overs of the second innings because Viru was out or perhaps the death of young man knocked us out. Tomorrow I am going with new excitement to watch our cricketing God in MI vs DD match. I expect same chaos and same mismanagement but I pray to god no deaths or accidents… Please god, we don’t deserve this. BCCI will certainly not pay attention, I wish God listens to us. My experience of Kumbh Mela was much better although that was not money making venture. Dhoni: Is the finisher finished?